The accountancy profession is recognized as an important driver for strong and sustainable economies and financial markets. What may be less understood is that professional accountancy organizations (PAOs) are well-positioned to be champions for—and play an important role in achieving—the United Nations Sustainable Development Goals (SDGs). Every-day PAO activities, such as delivering quality education, promoting sound ethical requirements, and participating in the standard-setting process, support the SDGs. 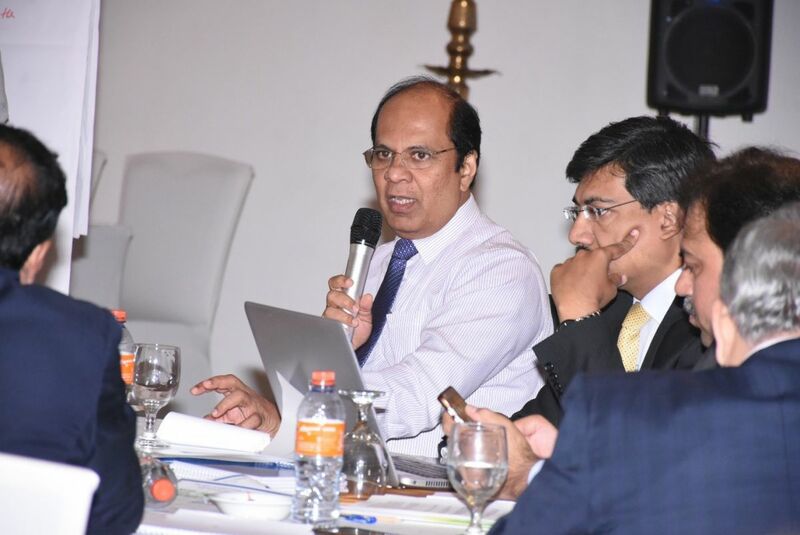 At an October 2018 SDG workshop co-organized by IFAC, the South Asian Federation of Accountants (SAFA), and the Institute of Certified Management Accountants of Sri Lanka, two specific SDGs stood out to attendees as crucial in the South Asian region: education and building peace, justice and strong institutions. Relevant and affordable education helps combat poverty and promote economic development, which is why its importance is globally recognized and codified in the SDGs. For the accountancy profession, high-quality education and professional development are also key to building the profession’s future and ensuring all professional accountants are fully equipped to provide the services the market demands. At a global level, the entire accountancy profession grapples with the challenge of attracting and retaining the next generation of talent, and remaining relevant. To address this, some PAOs have reinvented their services, which can help ensure that professional accountancy designations’ value remain relevant in an environment of disruptive technology and rapid change. Equally important is maintaining educational program quality so the profession prepares future generations who contribute to society. Regionally, South Asia faces specific challenges that include higher population rates leading to increased competition for places in universities, in other education programs, and ultimately for jobs. This can result in some students pursuing too many designations/degrees to rise above the competition but sacrificing real-world work experience. In addition, there is a lack of resources to accommodate and retain permanent accounting faculty. This contributes to an overall shortage of professional expertise and lack of quality external support—impeding efforts to sustain quality students and programs. Potential solutions include enhanced collaboration between PAOs, local universities and schools, and government entities, which is essential to improve education quality. Additionally, establishing a minimum regional benchmark for educational requirements for professional accountants would be beneficial. This would enable regional PAOs to successfully equip students’ tuition, training and examinations now and in the future in comparable fashions. This will help increase mobility across borders, opening up more opportunities for employment. Competent and capable professionals supported by a strong, well-governed PAO contribute to the sustainability of businesses, sound capital markets, effective stewardship of public finances and delivery of public services. The accountancy profession consistently addresses issues such as governance, fraud and corruption, and inadequate accounting and auditing practices. To ensure a strong PAO and to support the goals of SDG 16, PAOs should examine how they build and maintain their own operational and technical capacity to deliver quality services and ensure sustainability. South Asian PAOs have never lacked capable volunteers or leaders willing to take on necessary roles and responsibilities, although many have faced challenges recruiting qualified employees, which can risk longer-term sustainability. Recruiting capable and strong volunteers to serve the specific areas without sufficient funding for staff can help address this gap. It allows the PAO to keep an eye on strategic plans while ensuring a well-staffed and governed PAO able to meet national, regional, and global objectives. An additional component of PAOs’ sustainability is being, and staying, relevant. This means providing services that support and enhance member competence and credibility. In the South Asian region, this is particularly important as a majority of professionals work in business or small- and medium-sized practices. PAOs and SAFA have a unique opportunity to enhance collaboration with each other to support the professionals in these fields, especially through training and ensuring that there is a balance of representation from the different fields within PAO leadership structures. While many discussions around the SDGs relate to the global and big picture level, the workshop helped IFAC and participants consider the regional, smaller picture level and appreciate the direct role that PAOs can play in meeting the objectives of the SDGs. Given PAOs’ prestige and roles in jurisdictions, effective collaboration and relationships are essential to moving forward. There is a clear passion in South Asia, as in many regions, to address the SDGs and ways to contribute. It is evident that PAOs in South Asia are not overwhelmed by challenges and are actively brainstorming ways to address them through greater collaboration, innovation, emphasis on quality, and pushing each other forward for a brighter future.